Designer inspired large oversized super retro vintage silhouette with soft squared curves. 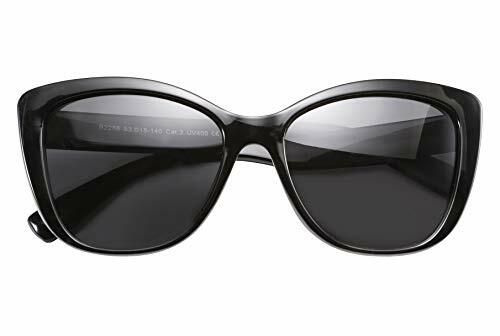 Large and bold, these oversize feature a very chic square silhouette that will have you looking fabulous in any season. 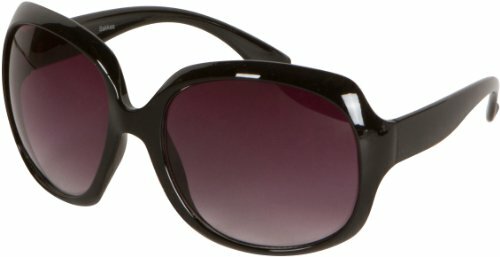 With stylish retro curves and high accented temples, these are sure to be fashionably noticeable wherever you might be. These modern and oversized lenses will keep you in the "summer mode" and compliment every face type. ☀ Specification ☀ ✓ Lens Material: plastic ✓ Frame Material: plastic ✓ Temple Length: 5 inches ✓ Nose PieceBridge: 0.3 inches ✓ Lens Size: 2.7 inches (W), 2.7 inches (H) ☀ Note ☀ ✓ Please remember to clean the lens before you use them. ✓ The glasses cloth that comes with the package can be used to absorb the water on the glasses after cleaning them. ✓ Do not use tissue or rough cloth to clean the lens, otherwise the lens will get blurred and could not be clearly seen. ✓ After using them, please put them back in the protective case so the lens will not get stained. ☀ 30 Days Guaranteed ☀ ✓ If you find any problem of our products, please contact us via E-mail to solve the problem without hesitation. 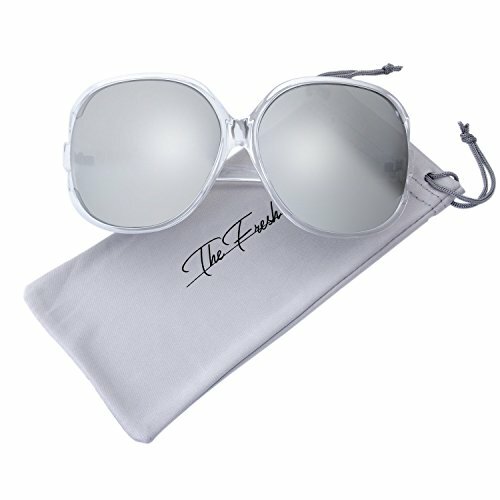 Sakkas Sunglasses is your one-stop for latest & unique design fashion sunglasses. If you want to look stylish but you are more concerned about safety, so here is the solution for both things. 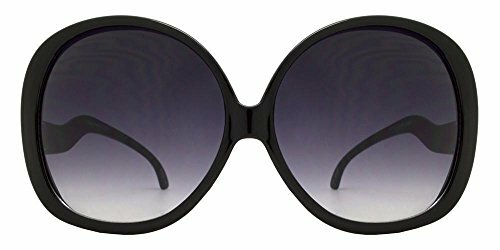 These oversized designer vintage polarized sunglasses are the perfect choice for you. 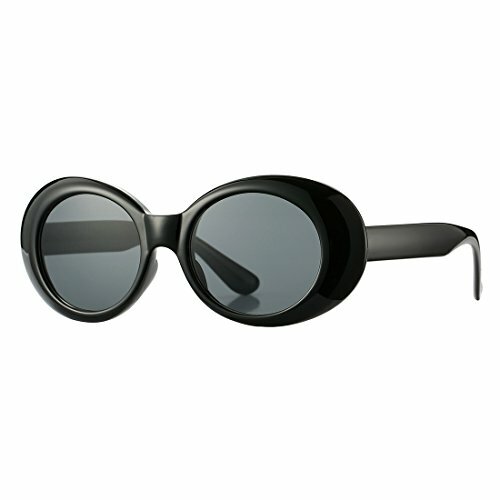 These luxury glasses are beautiful for beautiful you. 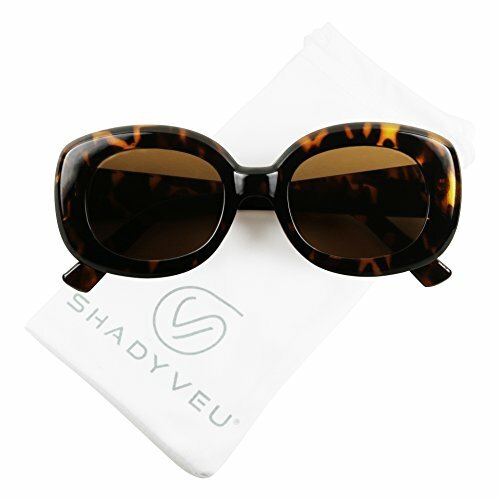 100% UV400 protected gives your eyes protection from UVA/UVB harmful rays. 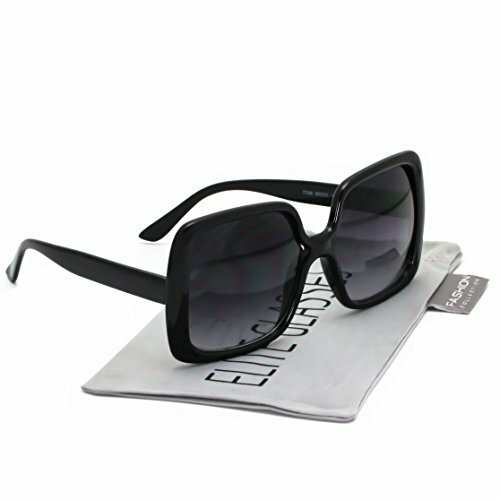 Features a classic matte frame with thick and wide arms, slightly oversized dark lense, and beautiful metal accents which gives you a celebrity-like, chic look. This stylish eyewear is made of robust plastic, lenses are shattered resistant & scratch resistant and give you protective and clear vision. 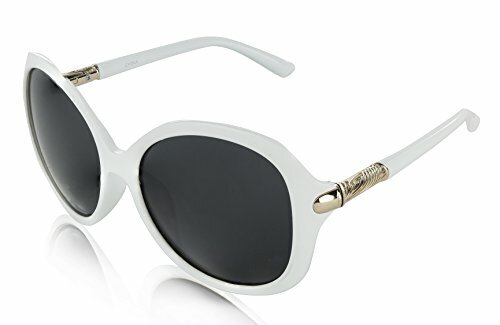 This beautiful sunglasses with rhinestone is lightweight, you will never feel them on your eyes and will never get stressed. 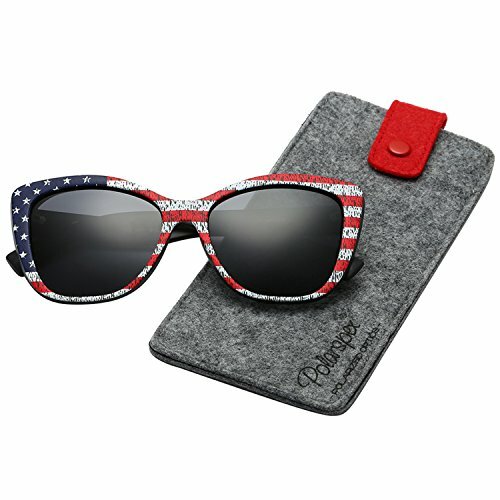 We providing microfiber sunglass carry pouch to cure your classic sunglasses. 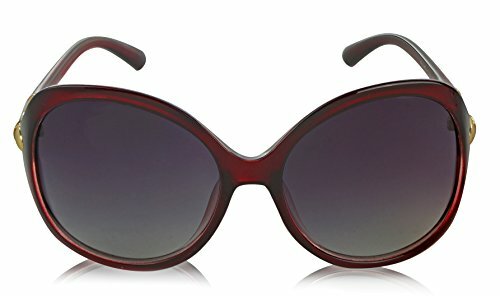 This vintage oversized square sunglasses come in five different colors (Black, Blue, Brown, Red, Tortoise) variations.FEATURES: 100% UV400 Protected Plastic lens polarized Composite frame Package Dimensions: 6.5 x 4.1 x 1.8 inchesINCLUDES: 1 X Polarized oversized eyeglasses 1 X Soft microfiber sunglasses storage pouch WARNING:To avoid damage and for long time use, do not clean the classes with paper towel or clothing, avoid regular detergents or soaps.